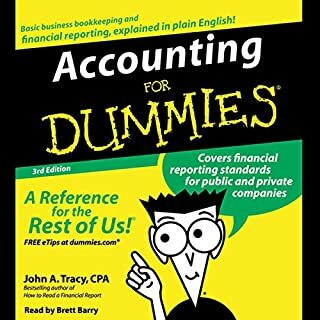 Although it is possible to read financial statements without a full understanding of how they are constructed, and it is possible to work in an accounting department performing accounting tasks including data entry, without fully understanding debits and credits, it is not possible to have a complete understanding of the financial statements or financial accounting without an understanding of transactions recorded using debits and credits. It is always worth our time to get a better understanding of the core accounting concepts, and it is always possible to understand core accounting concepts better. 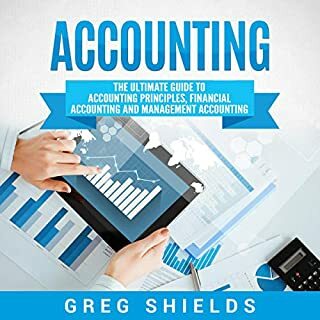 As an accounting instructor, I discover new thoughts, ideas, and applications every time I teach accounting, which has been a gratifying process. 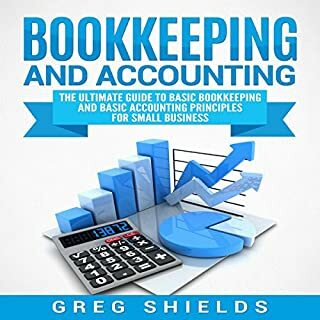 Accounting students, business owners, and business professionals need to know the fundamental accounting concepts because they are the tools to measure performance and to communicate the performance we have measured. Accounting concepts are to business what a stopwatch is to a professional runner. Being able to measure performance and express what we are measuring helps both runners and the businesses achieve their goals. Although businesses will differ by industry and formation, the core accounting concepts will remain the same. In other words, businesses are often categorized by the industry they do business in, meaning the product or service they provide, or by the type of business formation they're using, including a sole proprietor, partnership, or corporation. 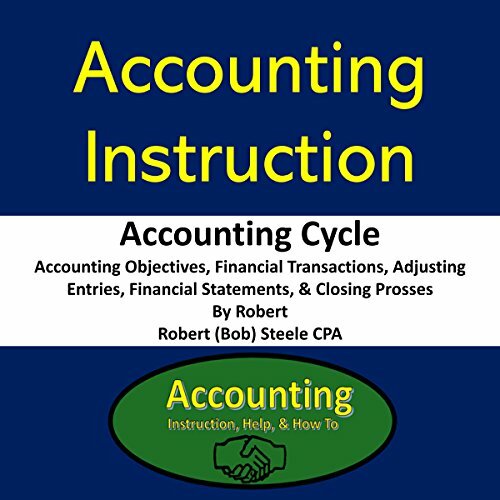 All business formations and industries will go through the accounting cycle steps laid out in this audiobook. This audiobook is broken into four main parts. 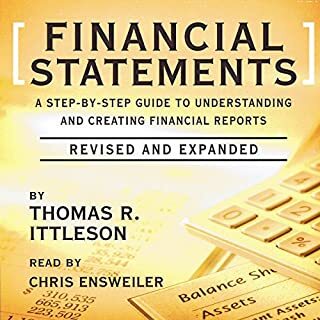 The four parts of this audiobook are Part I - Accounting Objectives, the Double Entry Accounting System, & the Accounting Equation; Part II - Recording Financial Transactions Using Debits & Credits; Part III - Adjusting Entries & Financial Statement Creation; and Part IV - The Closing Process. The instructor is very knowledgeable, easy to listen to, and includes practical analogies to make the material more interesting. Mr. Steele has many accounting resources that are very good, very professional, and well structured and delivered. 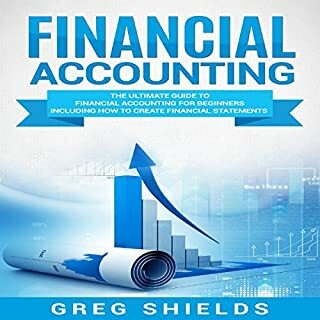 This Audible Book comes with a PDF document that has supplemental resources to add visual content to the learning experience and links to A LOT of free content that will be helpful to any learner of accounting. The book was informative and the narrator nailed it. Furthermore, the content was not super technical and was easily understood. The explanations are terrible catch the reader giggling at times. Explanation are terrible. Not worth it! 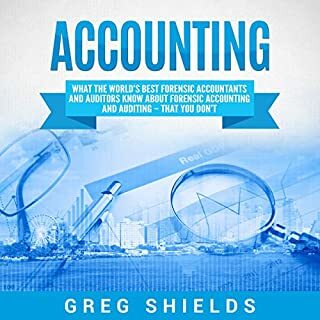 This book is basically compilation of previous books, which is nice because it puts all the accounting topics of the accounting cycle in one audiobook. Each component of the accounting cycle is very comprehensive. It is helpful for me to listen to the process as a supplement to learning the material and as a reference and reminder I can go back to. The PDF file that comes with the course is also helpful for following along and getting a visual.